Best Quality Freeze Dried Potato Powder. Ideal detoxifying, cleansing and purifying agent. Good for Skin when consumed and also in application. Antibiotic, antiviral and antibacterial properties. Helps in relieving cough, cold, fever, headache etc. Considered as a leading business name, we are actively occupied in presenting to our patrons a top class Potato Flakes Powder to the prestigious clients. We are known as the most reputed firm of Dehydrated Potato Powder. - Used for making french fries, snacks, potato paste, etc. Packed in 20 kg HDPE woven sack with inner LD Polyethylene bag. 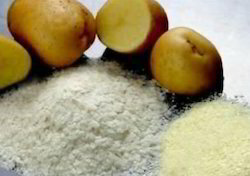 Potato Powder is extracted from potatoes. They are crushed in order to procure Potato Powder. The starch obtained from it is then washed out and dried to powder. Our Potato Powder is very refined starch that contains minimal protein or fat. Featuring premium white color, Potato Powder possesses high binding strength and minimal tendency to foaming or yellowing when dissolved in the liquid. 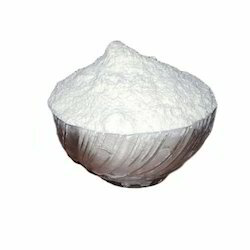 We offer best quality Potato Powder.